This album opens with a strummed guitar chord, and an oboe. The oboe is an instrument not often featured in rock, jazz, popular or folk music, and it signals with its presence that we should prepare ourselves for a variety of ‘not often featured’ elements. There are some sounds of rock in here, electric bass, distorted guitar, drum sounds and synthesisers: but these elements take their places in a broader soundworld, as seats in the orchestra pit rather than swaggering stage performers. I could perhaps best describe this music as ‘chamber rock’, although in truth its orchestrations are larger and more potent than that might lead you to believe. They often feel more intimate than they are, possessed of a paradoxical quietness, a calm which survives many potentially disruptive changes of direction. Arranged for bits and pieces of a rock band, in various combinations with oboe, violin, flute, EWI, clarinet, trumpet and voice, the material on New Worlds takes its melodic and harmonic cues to some degree from the psychedelic rock tradition, and to some degree from twentieth century classical music. I realise that it’s my job to describe this music for you, and that’s something I pride myself on being good at, but I’m going to stay fairly general, because I can’t call on any well known precedents, and really, you’ll have to hear it to get it. And you really should hear it, because this is extraordinary music. This album visits more moods, and displays more emotional and dramatic content, than most rock bands manage in an entire career. Richard Wileman, whose baby Karda Estra is, writes harmonic rhythms that modulate often and rapidly, frequently juxtaposing a major key sense of security with ominous, dissonant tensions (bits of ‘Chronoclasm I’, the short opening track, reminded me of the opening of Star Wars). These melodies and harmonies are frequently reminiscent of a British tradition in psychedelic rock that includes bands such as Gong and Cardiacs: the latter comparison is perhaps unsurprising, as one of Wileman’s collaborators on New Worlds is Kavus Torabi, guitarist in the most recent Cardiacs lineup. However reminiscent this music may be, however, it does not simply sail that broad creative current, but makes its own way into new and absorbing territories, and is simply too creative to sum up with a style or genre. What’s the point then, of these strange and sometimes dissonant harmonies, these unpredictably winding paths of melody? There’s much in this music that might be considered difficult or challenging, but the way it’s orchestrated renders everything somehow very digestible. There’s a lot more than happy or sad in human experience, and Wileman addresses the subtleties of emotional life, with a nuanced understanding that neither celebrates nor laments, but explores compassionately, without judgement. 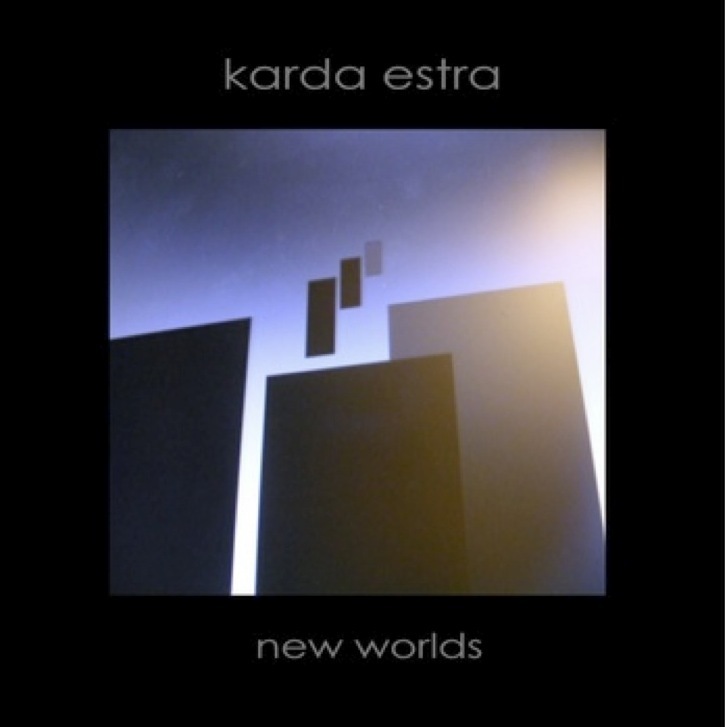 The New Worlds we are invited to travel to in Karda Estra’s company feel to me like inner worlds, and the expertly marshalled variety of timbres and moods on this album represent their layered complexities admirably. ‘Futurist nostalgia’ is the way the press release describes the recording, and that goes some way toward describing its bittersweet air of melancholic warmth, like a Hovis advert transposed to an alien planet. This is moving, beautiful and thought provoking music, and New Worlds is an album I will be listening to well into the future.